The Canal du Midi lies between Toulouse and Marseillan, it is great for walking, spending holidays on board a barge or renting a holiday property close to the Canal du Midi in this delightful natural environment. 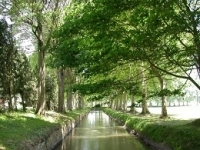 There are a number of walks along the banks of the Canal du Midi, to be enjoyed on foot, bicycle or roller-skates in the pleasant shade of plane trees, poplars or pines. This route of around 40 kilometres, with 12 locks to pass through and numerous villages to discover is ideal for a long weekend. Among the major attractions are the village and chateau of Argens-Minervois, the panoramic view at Ventenac-en-Minervois and Somail that has the most attractive port along the canal. 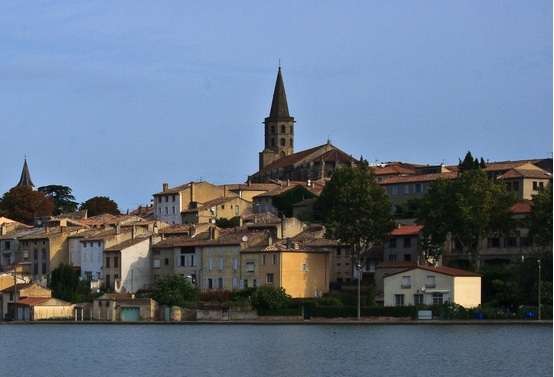 Leave the port of Castelnaudary by barge to discover Barm, concentrically constructed around the church. Take a stopover at the City of Carcassonne to visit the chateau and explore the alleys and narrow streets of this medieval city. Also along the route lies the village of La Redorte and its sluice built of Vauban stone. Numerous villages that are well worth visiting lie along this route including Ventenac-en-Minervois, Somail, Quarante, Nissan-lez-Ensérune and of course the Fonséranes Locks. The route ends at Béziers where visits to the Cathedral St-Nazaire and the Biterrois Archaeological Museum are highly recommended before starting the return trip. A week to explore Castelnaudary and Toulouse as well as the Seuil de Naurouze; a water source for the Canal du Midi. Points of interest include the Riquet Obelisk and the Port of Lauragais which is situated at a leisure stop along the motorway! Between Toulouse and Béziers there are various ports along the canal du Midi including the Port de l’embouchure, Saint-Sauveur port, Ramonville-Saint-Agne (South Port), the large basin at Castelnaudary, Port Lauragais, the port at Bram, the port at Carcassonne, the port at Trèbes, the port at Homps and the port at Somail. If you are looking for an original holiday why not spend your holidays aboard a barge and explore the Canal du Midi? A barge holiday enables you to discover lovely landscapes close up and stop to explore the villages along the way. 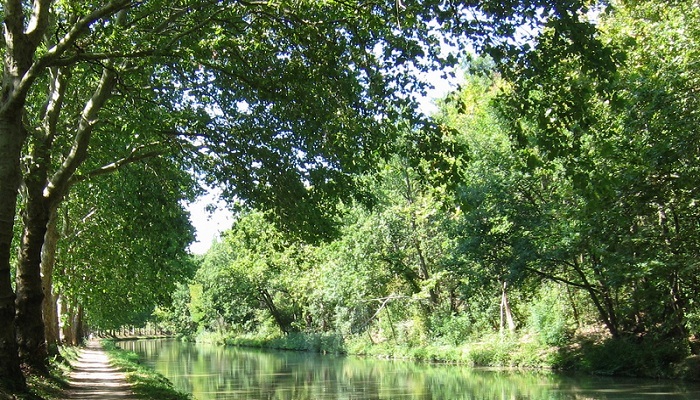 Renting a barge on the Canal du Midi allows you to take a relaxing family holiday in a peaceful natural environment. The Canal is open for navigation from March to November. In Spring flowers decorate the canal banks and the colours are warm from the first rays of the sun. In Autumn the different colours of the changing vegetation transform the banks. The cost of renting a boat on the Canal du Midi varies according to the size and comfort level of the barge. No need for a license to pilot them on the canal, the fastest they go is 6km/h! 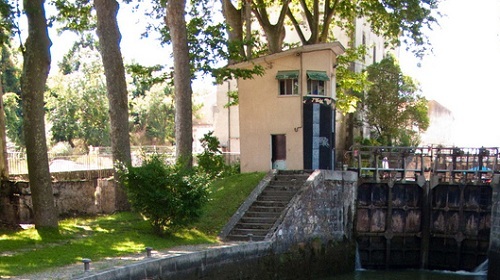 The Canal du Midi is fitted with both manual and automatic locks (lock-keepers manage the gates). When renting a barge, access to the locks is included in the rental price. It is best that you are two when navigating through the locks, one person on the barge and the other on the side of the lock to attach and detach the barge as necessary. Depending on the water flow you should allow 15 to 30 minutes to pass through a lock. Numerous types of holiday accommodation are available between Toulouse and Béziers including guesthouses, cottages, holiday rental accommodation and hotels. For economical family holiday accommodation guesthouses, holiday rental accommodation and cottages are recommended. For example you may wish to stay in holiday accommodation in the Hérault, a seasonal rental property in the Aude area or a holiday rental property in Haute Garonne.